Heading into my 5th year here in Istanbul, I am often asked by curious people why I choose to live here. My consistent reply is always that Turkey is a beautiful country with so many natural wonders. Sometimes I find myself so embroiled in my daily life that I forget Istanbul is also a magnificent city. 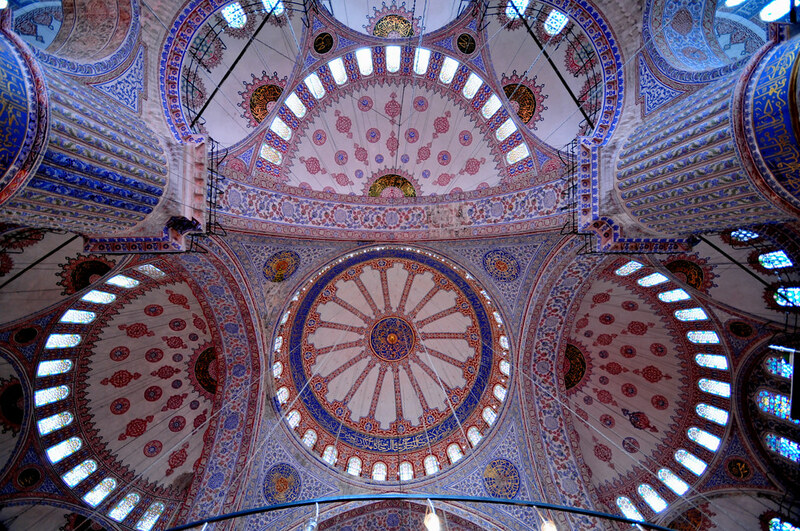 Recently I had an opportunity to take a full day tour with Walks of Turkey. I hopped at the chance to become reacquainted with my city. I met my tour guide Luna at 8:30 in the morning along with another couple from near my hometown in America. Luna spent the next several hours giving us a deeply informative tour of the Hippodrome, the Egyptian spires, the Hagia Sophia museum, the Basilica Cistern and of course, the Blue Mosque. Believe it or not I had never been inside most of these places. Luna’s knowledge base was impressive and I felt I got a lot of good information which I can parrot when I next have guests! The couple I was with raved about the tour company, they said they had taken many of the Walks of Italy tours which were extremely informative and high quality. I was beginning to understand the praise. Next we stopped for lunch in Sultanahmet. The restaurant was pretty standard for what you will find in this area, fish or kebabs, all the menus are about the same. But it was a good way to sample a variety of Turkish food for a visitor, we were given a mixed kebab platter and some surprisingly good mezzes to begin. After lunch we headed out to the Grand Bazaar. 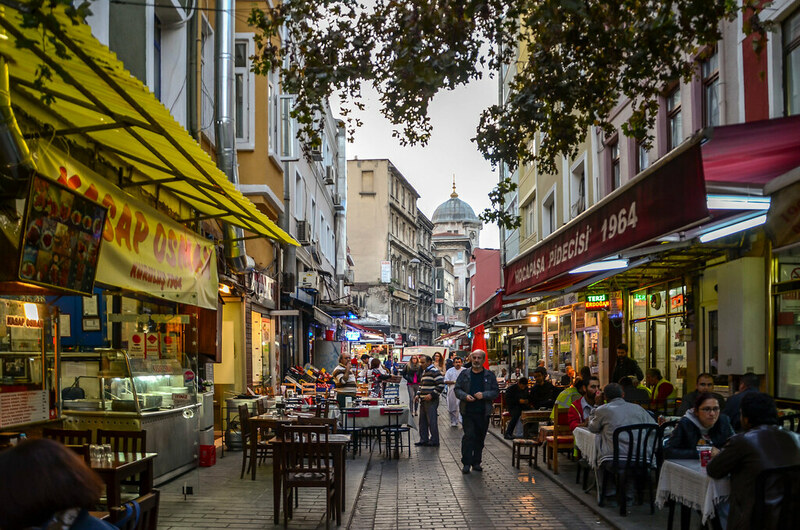 The purpose of this leg of the trip was simply for us to experience the Grand Bazaar which is one of the largest covered bazaars in the world with 9000 shops. It wasn’t intended that we would do any shopping, the highlight was certainly the rooftop. Passing by many small craft studios where the craftsmen were building lamps, rugs and various other things to be sold in the bazaar, we headed up and to take in the spectacular views from the roof. Next we made our way through the crowded surrounding streets and over to the Spice Bazaar, also known as the Egyptian or Mısır bazaar. We had the pleasure of tasting and smelling the herb blends and spices, dried fruits and nuts which make Turkish food so delicious. We may have sampled a sweet or two as well! This is already a full agenda, but the tour is planned perfectly that after the hustle and bustle of the Old City, we were treated to our own private Bosphorus boat tour. I have a friend who once told me “The day the Bosphorus doesn’t make me happy is the day I will decide to leave the city.” On that tour I understood absolutely what she meant. The Bosphorus is such a beautiful waterway, it is very busy which makes it exciting to watch, but more important is the historical architecture that lines the shores. Luna provided all the details of the buildings which were very interesting to learn, but I think we enjoyed most the sunshine and the cool breeze as we looked at so many beautiful things. It was also really nice because the tour takes you around to the Asian side. So, for example my fellow tour mates had exactly 24 hours in Istanbul, and simply would not have the time to make it to the Anatolian side. This tour gave them the opportunity to take in all the highlights, which was great. Finally we walked up from the waterfront near the base of the Galata Bridge and made our way to the Galata Tower. Built by the Genoese in 1348 it is a popular place for people to take photos from the top. However, this can take 30 or more minutes of waiting in line. After Luna explained to us some of the history of the tower we went for a cup of coffee at a nearby cafe which offers an identical view. With that the tour was finished. It was a wonderful day, one I would recommend and one that personally allowed me to rediscover the city. Special thanks to Walks of Turkey for providing a complementary tour.